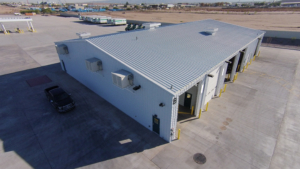 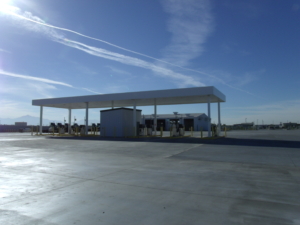 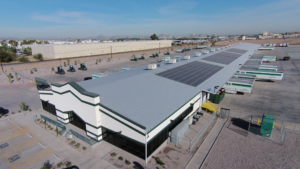 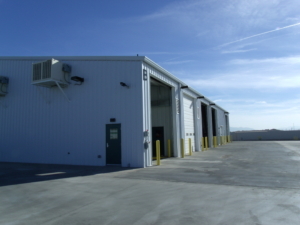 Mustang Steel Erectors built three Pre Engineered Metal Buildings for R&L Carriers & Image Building Systems in Phoenix AZ. 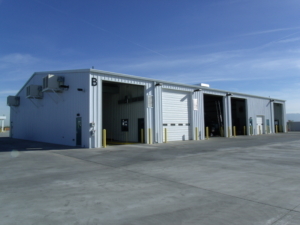 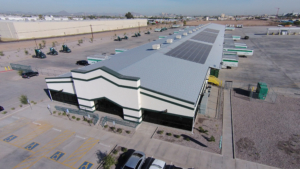 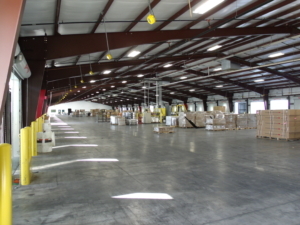 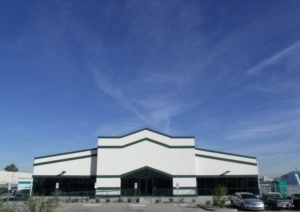 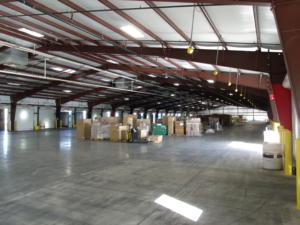 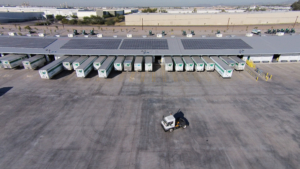 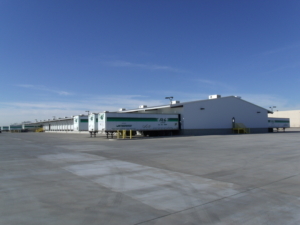 This 92,000SF facility just opened as a major shipping hub in the Southwest. 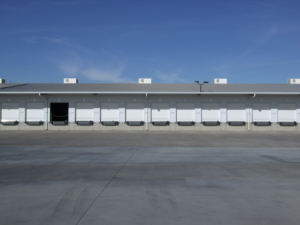 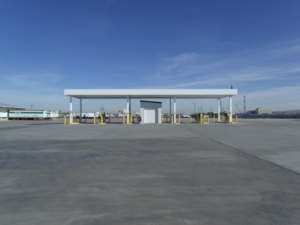 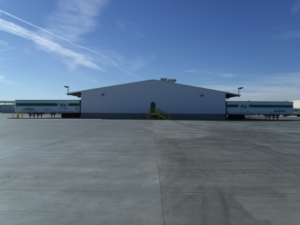 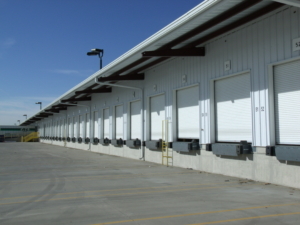 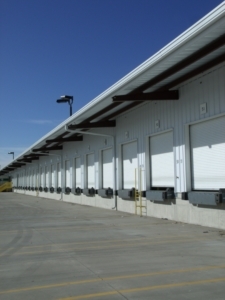 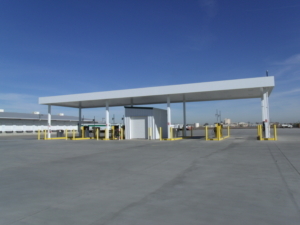 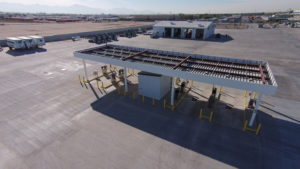 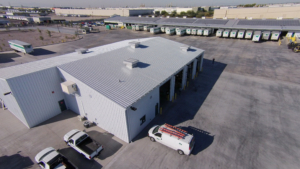 The shipping terminal has 116 overhead doors is a great example of steel building clearspan capabilities, providing 100’x770′ of interior open space. 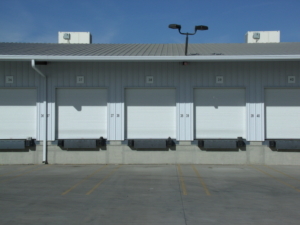 This aspect allows for diverse design and use of space inside and out. 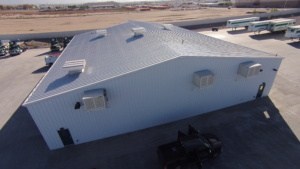 This building was erected in record time!